Design, model, and document process plants with AutoCAD Plant 3D software. AutoCAD Plant 3D brings advanced 3D design to plant designers and engineers, helping to improve productivity, accuracy, and project coordination. Built on the familiar AutoCAD platform, AutoCAD Plant 3D brings advanced 3D design to plant designers and engineers. Features like specification-driven design and standard parts catalogs help users place piping, equipment, and support structures more efficiently. Integrated AutoCAD P&ID functionality helps users to create and edit piping and instrumentation diagrams and reconcile underlying data with the 3D model. Quickly generate and easily share isometrics, orthographics, and other documents. 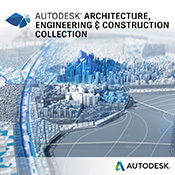 Help improve productivity, accuracy, and project coordination with AutoCAD Plant 3D. AutoCAD Plant 3D software is included in the Autodesk Plant Design Suite.